Scarlet Lime has done it again with another awesome kit! Their cheerful papers, if you listen closely, I swear are singing springy songs. They compel me to scrapbook fun photos of an afternoon picnic or day at the park. The papers and rubons are exclusive-meaning they were designed for Scarlet Lime so that’s the only place you can get your cute, little hands on them. Here are a couple pages that I made using the kit. I stayed up way past my bedtime last night, procrastinating packing for my trip even more, because I was excited to put something together. My favorite are the colors in the kit. Love the red/green and yellow color scheme & the blue/yellow and greens-they look so harmonious together. 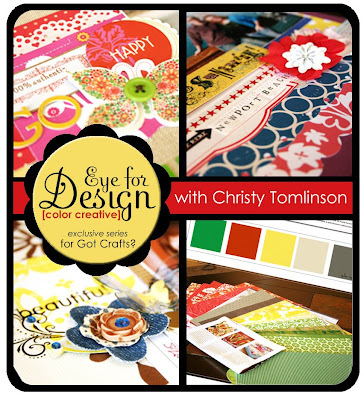 Since i'm always of fan of the color Christy coordinates for Scarlet Lime's kits each month i know i would love to take her class-- Eye For Design [color creative}, - it’s the first class in a series of classes she will be doing for Got Crafts. Check it out!! This kit is truly an eye candy - It's almost as vibrant as my nephews' & niece's personality - so I guess there are my natural candidates. What great giveaways!! I would scrap happy springtime photos of my 3 year old son playing at the park!! Pass that one on to Christy!! 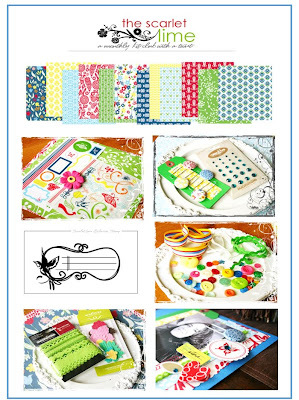 I think I would totally love to scrapbook my summer with this kit- all the colors are just so amazing!!!! What great colors! I would definitely scrap my gardening and outdoor pictures! Would LOVE to win this kit...finger's crossed! i would use pictures from my b-day which was today!! oooooh! I absolutely love the color scheme of the top page! I would scrap my son's tball photos at the moment. His team is green! Love your creations as always! What a fun colorful kit! I would be scrappin' all kinds of outdoor pictures of my two girls. I have some recent pics of them in their new swimsuits at the beach that would be perfect! Thanks for all of the inspirational pages!!! I would love the kit to scrap the cutest pics of my two boys 5 and 8 mos. from easter. They are super cute springy colors and go perfect with their cute bright fresh colored outfits they wore! 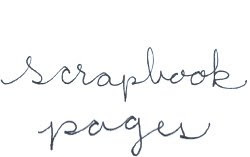 Love your pages too! This kit is gorgeous! I'd scrap pictures from my Costa Rica trip I took last month. lucky thirteen.. id scrapbook photos of... ME! got to get them done somehow.. and this kit is the way! I would start with scrapping pictures of my love and I from the woodburn, oregon tulip festival! :) PICK ME! thanks! I would scrap with this kit my new pair of yellow shoes!!! I have been looking for a yellow bag and shoes for awhile and finally found some last week. It makes me feel all happy! Happy Spring! Wow, these papers are stunning and since they are called 'Cape Cod' I would probably scrapbook some picture from our honeymoon which did also take us to - yes, Cape Cod. Or maybe a big picture of a field of tulips because the colours are so springy? i would use it to scrap my spring flower pix. love the colors!! I would Scrap my photos of my son Joey and his friends at Oyster Creek Park. Awesome colors! Oh I love this kit! The colors are amazing!! I would scrap pics of my twin daughters playing outside on a gorgeous spring day. 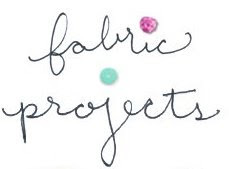 Gorgeous kit and projects!! I would definitely use this kit to scrap pictures of my beautiful daughter! Gorgeous as usual, she does such a great job. I would definately scrap our SPRINGTIME photos. You know green grass, flowers in bloom & oh beautiful sunshine!!! Pool pictures! !I love the bright colors! I have a 2 year old and 1 year old and we have taken some great pictures so far this spring. Our weather has been pretty amazing. Wow ! The class looks amazing and I would love to have a shot at taking it! If I had the scarlet lime kit. I would scrapbook me and little ones baking muffins. When spring comes I always start baking yummy, quick breakfast foods with lots of fruit-blueberries, raspberries, bananas, and peaches. Yum! I think the picture I would use is me and my best friend enjoying our summer visits together. We live in different states now and we always get together during the summer. Pictures of the beach of course! Love the paper! I would love to scrap some bright summery pictures we've taken outside lately at the park and playground! :) Btw, I haven't been on your blog in awhile and your girls are getting SO BIG! They just get cuter all the time! oh my...I love bright colours!! I'd scrap some summery photos for sure! I'm getting ready to do a scrapbook of my own life since my 50th birthday is looming in the near future (November) and I could you a little colorful inspiration to get me started. Definately pictures of my grandchild. My grandma's 80th birthday party last week!! She had on a bright aqua an lime green outfit and there were beautiful red flowers surrounding the cake - perfect fit!!! I would scrap photos of my pup Maggie! She is black & tan and goes with everything:) Thanks for the giveaway and enjoy your trip!!! I would use it to scrap pictures of my birthday crop since it is next Friday and I am having all an day crop at home with my dearest friends (hubs are staying with the kids all day) which means nothing but fun! Good luck to all the ladies. Wow, what a great kit! I would scrapbook my Easter pictures of the girls hunting for eggs! How gorgeous!!! I would scrap the boys flying their kites!! I would love these for our annual trip to Cape cod- perfect colors! Love them - I would scrap my charlotte rose's love for dresses - she sports one daily - if not two or three, she dances, twirls, runs, sings and dances, alot of her dresses are made by family, kinda funky and fun like the kit - i know she would flip for this kit too...she is my little scrapper in the making (almost 4 going on 12!!!) have fun in GA - my old stomping ground - where are you teaching? Would be so much fun. Would scrapbook pictures of my girls when they were little in their bright green and orange summer outfits. Well, I'd scrap my kids, of course. Maybe some photos of them in the Texas bluebonnets (they were GORGEOUS this year) or maybe just some personality shots where the bright colors would emphasize my kids "bright" personalities! I would LOVE to win this kit! Hi Elizabeth. I would just have to scrap some funny photos of my children. The one of my 3yo son with a huge grin whilst sticking his tongue out! and the one of my 3 week old daughter with a huge yawn! I think I would use a few photos of flowers from my garden. What a beautiful kit! LOVE the colors! I'd scrap some photos of my daughter from last summer! I just love how vibrant the colors are! Thanks for the chance! Hi Elizabeth, all the colors are so happy; I would definately scrap some picture of the boys playing at the parc and of course of my new little angel; I am expecting a girl in 5 days and I have all boys. I am so excited about gilrs clothing, I would definately showcase my angel in theis awesome kit! I would use pics of my niece's "outdoor adventures!" Love the kit! I love the colours in the kit, and since we are having our twin's birthday this weekend I would use it to scrapbook that. It would be perfect! Hello! Welcome to Georgia! I live in Covington just east of the city. Be sure and get ya some fried green tomatoes and sweet tea before you go!! ha! I would love to win the new kit - it is fabulous!! I would probably use it for my daughter's spring pictures that we always take outside somewhere and with her new puppy. Have a great day! Love your work!! 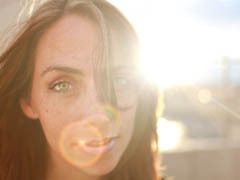 I would definately scrap some of our spring pictures from spending time outdoors w/ the sun shining down. I would scrap pictures of our 3 week old daughter with her 2 older brothers! Spring, Summer, Birthday - this kit covers it all! I would love to scrap some pictures of my three little cuties that I took after church a gew weeks ago! WoW! I saw these bright and cheerful papers and instantly thought of my soon-to-be 3 year old son, teaching his 6 month old sister how to ride his trike! So serious, yet so cute! What a photo shoot that was! Oh there are so many pictures that I could use...spring pictures of the kids would be the first on my list. I have not tried Scarlet Lime yet but I am dying to do so! This week is Derby Week in Louisville, KY! It is a full week of festivites and our city is alive with color. I would scrap my kids having fun at the Pegasus Parade (for the first time) and the Boat Race. Check out my pics that I would scrap on my blog! Thanks for the giveaway chance it is awesome! I love this kit!!! I would take some fun new Springy photos for it! I need to get some shots taken...I sort of fell behind! We are throwing a Cinco de Mayo party next week. Our theme is bright bold colors and this kit would be perfect to coordinate with them! Also, for our kickball league, our team shirts are blue and red. I have plenty of pictures from last season that haven't been scrapped! Lots of fun spring shots, especially of our trip to NYC. Central Park would look even better with all these goodies! Spring photos of my favorite photo victim - my wonderful, sweet nephew who feels like my grandson! I would scrap some pictures of my kids outside on the first days of spring around here. We haven't had many warm days yet, so these would bring a bit of warmth and fun to us! Thanks for the opportunity! Love the green/navy/yellow combo. I'm thinking this year's easter pics would look great on that. Wow, another amazing kit!! Love her color combos! I would use the kit for pool pictures...I always end up with a pile of great shots. These colors would be the perfect fit! Thanks for the chance as winning such an amazing kit! I love your layouts, as always! I've got some great pics of my kids at Islands of Adventure from a FL trip last year. The colors in the pics are so vibrant-they'd be perfect! I amy just swoon over the blue, yellow green combo. I have the perfect pictures of my triplets Plus one more playing in the kiddy pool and the sprinklers. So if you pick me I will be one happy mommy!!! My boys at the beach or park. And my new baby girl in her new summer dresses that are just as bright as the papers!!! Bring on summer!! Great kit! I love it. I would use it for all the cute new Summer dresses for my baby girl ... Yeah! LOVE the kits and your pages are fantastic! I would scrap my boys...they are fun and very energy filled. I would use Easter pictures!!!! I LOVE this kit... So gorgeous & vibrant. I can visualize some fabulous pages of my niece/nephew in bright colors as well as some vacation photos. Thx so much for the chance to win! I love your layouts! Disney! Disney! Disney! Just got back with tons of pictures from Disney and would really love this kit to scrap them with! LOVE your layouts! As for what I would scrap...it would certainly be photos of my daughter and her friends. Their personalities are strong, bright, they leap off the page. These colors would be the perfect companion for their zany photos! oh this is so cute! i would scrap our recent trip to the park with this kit! thanks for providing such fun ideas! I love the bright colors. My boys and all their happy spring kite flying faces will look great using this kit. The papers would look gorgeous behind the pictures of my 4 year old girl and sweet new baby girl at Easter. I would LOVE to win the kit!! I'd scrap my kids playing football, playing with balloons, etc outoor stuff. Great colors! My husband and I just celebrated our 9th anniversary on Wednesday so I would scrap those pics. Oh how I love capturing those special moments! Thanks for the awesome giveaway!! I would scrap our summer pics of my kids at the pool and at the park. I think this bright kit would be perfect for my dreary rainy pictures from our trip to London...what better way to liven things up! Oh, that looks awesome! I am more crafter than scrapper, but I think the class would be AWESOME! What a sweet kit! I would scrapbook my 2 grand-daughters, Danica (age 3) and Aylssa (age 2)! Thanks for a chance to win!! We are heading to the Zoo on Saturday. It will be my son's first visit and I can't wait! I can totally see those pics working great with these papers!! I would so scrap some pictures of last year in the summer. What happy, fun and lively colors! OH what a great giveaway! I would LOVE to scrapbook my daughter playing in the grass or picking flowers. She loves to "smell" any plant or flower, even the stinky ones! She's 2 1/2 and I love seeing the world through her eyes. I'd love Christy's book as inspiration! Scarlet Lime Kit...even the name sounds delicious! I would scrapbook any and all of my photos with this kit! Love it!! I think that could inspire me to START my 4 year old's scrapbook . . . I have been a naughty girl! For sure I would have to scrapbook my daughters prom & easter pics!! Have fun teachin & working on that southern accent!!! I would probably start with all the KY Derby pictures I have been collecting for the past two weeks. Great kit! I would scrap pictures from an outing to Boulder, CO and Chatauqua Park that I took with my husband, kids and inlaws last summer. I keep thinking about scrapping them and this vibrant kit would be perfect! Oh I'd definitely have to scrap some beach photos with this kit! Fun! any pic where i was feeling easy, breezy. AWESOME giveaway!! Thanks Liz! Hmmm...I almost think I'd use black and white photos so the colors of the kit would really pop! Any of my spring/summery pics would work with this! I thinking of the pretty pic I took of the woods a few days ago would look gorgeous with this kit. I would love to win either one of these kits!!! Well let see I have a trip to New Orleans coming up this month and I would definitely scrap those pics. And probably all the summer pictures I will be taking this summer. I have some great pics of my son blowing a wish that would be great with this paper! those colors are delicious!!!! They are just so happy!! I would scrapbook summer days pictures with them!! love love the kits colors. so perfect for this time of year. It screams Happy so I would scrap my family fun in the summer pictures and party pictures. thanks for the chance to win! I love all the bright colors!!!! These papers would be perfect for our trip to the Tulip Festival (if the weather clears up). This kit is so colorful and fun. I have plenty of summer photos that would go great with this kit that need to be scrapped. Thanks for the chance to win and have fun on your trip! You'd probably laugh at my accent. LOL! Anywho, if I had this kit, I'd scrap pics of my DD in her non-pink clothes that I actually bought. I'm a nut for pink, but it was fun to shop for some different colors for her. I would probably scrapbook our Easter photos with this. So darling! My daughter's first birthday party would look cute with those bright colors! Love it! I just moved to a new state on the East Coast and I'm so excited to capture spring here with my camera. That's what I would put this kit to use for! Living in the Arizona HOT we just bought a inexpensive upon ground pool that we are excited to use (we've never had a pool and although it only goes to my husbands stomach we are thrilled!). I would LOVE to use these cute pages to showcase the blue water and AZ blue sky as well as my kids' happiness! Hands down, I would scrapbook my husband's trip to Brazil with his MBA international studies class. I've been looking for papers that have that tropical flair, and this is the first time some papers have made me drool! Love them. Thanks for the chance! I just went to Beaver Lake in Arkansas and I have never been there, it was beautiful and I took tons of pictures of the waterfalls, the water and of course my friends. This paper is perfect. I just got my 5 month old a fatty blue bumbo and have some really cute shots of him in it. I think the blues and greens with navy accents would be absolutely perfect for those pics. Thanks for another fabulous giveaway!! so cute! I could use it for anything but I am sure I would use it for my kids girls or my boy either one!!! My baby girl has the cutest lime green patent leather penny loafers that I would love to design a page with this kit. Love it! Easy-peasy...I'd scrapbook my "Girls Night Out" pictures...fab girls that love to have a good time on fab layout with vibrant colors! I have the CUteST oicture of my little guy and his fav snuggle toy--a very funky monkey! It wouls look SO GOOD with all the colors in this kit!! Have fun on your scrapping adventure! Wish I was there!! Oh, how I LOVE these bright and sunny colors! Would definitely be scrappin' my girls in front of something beautiful! i love your layouts. and i love scarlet lime kits. therefore this was an awesome inspiration post! This is an easy one...Spring, summer, Vegas, Disney, etc. Kids, Girls Weekend, park and the list goes on and on and on. I would scrap pictures of my upcoming trip to Antigua!! I'm really excited. This kit is so cute, I love the colors!! It would be fun to scrap pictures of my kids at the pool or birthday pages because the colors are so bright and fun. Spring pictures of my little ones and I planting flowers -- and evening spring walks and rides on the trykes. Fun! Love the colors of the kit! I would scrapbook Spring break photos with the kit. scarlet Lime outdoes itself every month. I have some great pictures of a small town fair we went to just screaming for this kit! Oh please pick me!! What wouldn't I love to scrapbook with this kit! But, maybe some pictures from a trip to Maui from 2004. Yep, I'm way behind. Hope you are having a great time in Atlanta. I will be there this weekend too, unfortunately not to attend Scrap Etc. Visiting family so should be a fun weekend. I have some great pics of family taken at my dad's 75th birthday that i would love to scrap using this kit! thanks for the chance and hope y'all have a great time at Scrap Etc! I would definitely scrap some fun spring/summer or even birthday pictures with this kit. It's so vibrant!! what a super giveaway elizabeth!! Oh the possibilities! I would love to scrapbook my son playing outside with the blue/yellow/green combo and the girlie stuff I could use for pics of my new niece and some pics of my girls' weekend scrapbook retreat! LOVE this line of yummy products! This is so gorgeous. There are no pictures that I have that would NOT go with it. My family loves bright colors. Let it be my lucky day! I love the bright happy colors in this kit...I read everyone else's comments and hate to be a downer...but my two little ones had a blood transfusion a month ago at Primary's and I have some photos I want to scrap...but I want it to be cheery and bright so they know what a gift and blessing it was to get well... These colors just scream cheer. Super great kit! I can see it working well with photos of our new vegetable garden and the process it makes this summer. I can just imagine the juicy tomatoes on those papers!! I love these colors....I would add my kids swimming and enjoying the summer sun. I would use the kit to scrap some photos from last summer -kayaking down a river in beautiful British Columbia.Thanks. The colors are great! I think i would want to scrap some spring break and easter pictures with this kit. Oh I think it would be perfect to scrap pics of my little guy on his new "treasure chest" (that's what he calls it) but it's really a little slide that he is just on all day right now. Happiest colors ever! I would scrap summer pictures. My husband and I live at a Bible camp in Manitoba, Canada, and our summers are pretty short, so we pack in as many fun times as possible: picnics, the beach every day, walks in the woods, and tons of fun times with our little girl, and all the kids who come to camp each summer! All the best as you teach your class! This kit definitely screams for some outdoor....running through the sprinklers pictures. There is nothing cuter then my little gals in bright swimsuits, with crips green grass in the background. I love fun bright colors, they just make me happy. I would scrap some pages for my vibrant lovely 15 year old daughter - she's been such an amazing help to me in the past few weeks while we've gone thru a very busy family time. oh, i would love that Scarlet Lime kit ... gorgeous colors ... matches the joy and sparkle in my 7 month old's eyes ... so i would definitely scrapbook him!! Just a question (I had posted a comment earlier!) didn't you post mos. ago about a web site that can print out blogs in book form? I would love to do that for our coach! But I had no luck finding it! I would definitely use those awesome papers to scrap my springy pics of my two kids petting and holding baby farm animals! Those bright papers with photos of baby chicks would be so adorable...sorry, but who doesn't love a fuzzy little chick? Thanks for the chance to win! Anything spring!! my hubby and Daughter's birthdays are in spring, we love going to the park, who knows, it is just so darling!! love it!! This kit looks so bright and fun! I would love to use it for spring and summer pictures of my 4 year old son playing outside. Thank you!! I'd scrapbook pictures of my little girl in some bright colored outfit!! I'd probably have to go and buy one to match the kit! ;) It's beautiful! OMG! This kit is so bright and cheery! Makes me so excited for summer and outdoor activities. I'm with you in scrappin' those outdoor summer picnics! I'd also scrap pics my kids on the swingset, playing on the slip-n-slide, pics of flowers, pool pics---the possibilities are endless! I would take pictures of my son playing outside in the nice weather. He loves to play wit the water or run around and I think this kit would be great for those pictures. i ahve some pictures of my daughter in some pretty colorful outfits. she would be my subject for these kits. so fun! I would scrapbook my daughter's May birthday party! The bright colors would be perfect! I would scrapbook me. I don't have many pages and with summer coming these would be perfect. You are truly an inspiration! I would scrapbook my girls with these colors! They are so yummy! I love the yellow, green, and navy blue combo!!! It would be great for a day at the park photos!! Lovely giveaway! I would scrap my nieces and nephews running through the sprinkler! I would scrap my daughter's talent show pics. She's so brave to go up there in front of all of those people every year! Scarlet Lime rocks!! I would put pictures of my 5 year old daughter - she loves color and she is my favorite scrapbooking subject! Hi Lizzy! This kit looks awesome! I can see end of school pictures scrapped on these great papers - graduation, confirmation, recitals, plays/musicals, and last day of school picnic! A night out on the town with the girls would be perfect for those vibrant colors! Thanks for a chance to win Liz. You're right, they need some great bright springy pics. I'll shoot some at the park today in case I win! Would be perfect for my outdoor spring photos of my son! What a fun kit! I'd love to win one :) I'd scrap some recent pics of my 18 month daughter. One of our many days at the park or the beach or one of our afternoon bike rides :) good times... beautiful layouts... thanks for the chance to win!! I would scrapbook my two little boys... because boys need fun colors too. I love the colors in this kit! I would scrapbook some of my first photos of spring - my favorite is one my 7 year old took of me and his 3 month old sister. Sweet! love the kit, and love your layouts, as always...i would use this kit to scrapbook my daughter's recent little mermaid/chuck-e-cheese 3rd birthday party. I would scrapbook my kids playing outside in our yard - especially with thier bright green John Deere tractor toys. I love this kit! The colors are gorgeous! I think I would scrapbook my summer pics or Spring Break in Palm Desert with the kiddos playing in the pool. Thanks for the inspiration and opportunity. Fantastic color combos, these papers would be great with some old photo's I found of my mom with her "beehive" hair and my dad's slicked back "Elvis" hair....oh, those were classy times. Have fun in Georgia! Adorable kit! I would surely scrap the milestones of my 3 sons who are already 7, 5, and 9 months! Oh if I could slow down time! So I would just scrap what ever photos was next on my list!